The Google Glass Explorer program has had an extremely slow rollout. It started as an invite-only affair, then recently opened up to anyone who had an extra $1500 to spend on buying Glass. But, the whole time the program has been US-only, which has made eBay sales of the device very popular overseas. Now, Glass is finally available outside of the US. Of course, Glass is still English-only, and the only other country where you can buy the device is the UK. Interestingly, those in the UK who want to buy Glass can do so directly from the Google Play Store. Glass has yet to be offered through the Play Store in the USA. The device will cost those in the UK £1000, which is about $1700 at the current exchange rate. Given the usual markup that electronics get in the UK, that's not too bad, although it is still a prohibitively expensive for most. The added cost does come back though, because buyers in the UK won't get frames from the Titanium collection or the shades for free. Those will cost £175 and £120, respectively. Beyond those, users can also pick up stereo earbuds for £65, mono earbuds for £40, a padded case for £60, or a ClearShield visor for £60. And, if you happen to live in or around London, you can sign up for a hands-on demo of Glass which are being held June 27th and 28th. No, that will happen with the official public release. For now it is just for developers and the extremely dedicated. I would like it as well. But that price is a no go for me. Not to mention its not even in my country. Google Glass = there's no privacy . What a moronic comment, I guess the NSA and dragnet surviellance and companies selling your personal information were also around in 1888. Do you realize what you've said or are you just ignorant to the mass privacy breaches around you? I really hope you take the invasion of privacy seriously in the future, especially for someone who is reporting in the tech industry. You should be promoting less privacy invasion and be actively aware of people's concerns, not posting articles from 1888 about a camera. Seriously. Who thought they had privacy? Yes, because we all know that Google Glass records for hours on end, unlike those smartphones that everyone are using these days. Oh, and of course it's sporting x-ray vision too, exposing the highly sensitive information of the color of your underwear, which as we all know is worth top dollar to the evil corporate world... You, sir, are the one posting moronic comments, and being quite rude at it too! You're just clueless sadly. 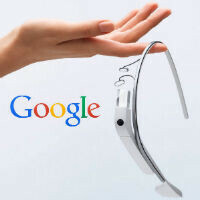 You're right about one thing, glass will record like smartphones. The problem is in such "service" like NSA not in Google Glass! I totally agree with you. Not only that, but since the Kodak in 1888, there has been massive privacy issues that people like MHeller just live with and accept as norm. If they would make a Glass model device that allowed users to detach/attach a camera module at will. This would go a long way for the privacy issues that some people have. Considering there is so much more to Glass then just a camera. If you had a clue perhaps you'd realise the NSA event revealed that we never really had the so called "privacy" you thought you had and glass had nothing to do with it. Michael is pointing out something you're too moronic to understand. Innovation cannot be stiffened because of people like you who fear for lossing what they never had in the first instance.